Buxton Heating have many years experience installing central heating systems in Woking and the surrounding area. Our team of engineers take great pride in providing a professional service to our customers and have installed, serviced and repaired central heating systems in a number of residential properties. Our wealth of working experience allows us to advise you on the best approach when it comes to installing central heating in your home. If you would like to find out more about our services then please contact our team. There are a number of different options when it comes to installing an effective central heating system. 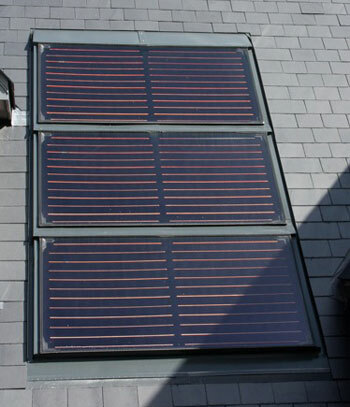 Solar heating installation is becoming increasingly popular, and if this is something you are considering in your home then our team will be happy to help discuss the potential benefits this central heating solution may hold. For most households, at the heart of their central heating system is a boiler. Installing an effective and highly efficient boiler is very important to keep your home warm. Our gas engineers are fully qualified to install a range of domestic boilers and can offer essential consultancy when it comes to choosing the right boiler for your home. If you want to make sure your boiler remains trouble-free, then it is important to have it regularly serviced to ensure it is operating at maximum efficiency and is performing in the correct way. Our engineers will be able to identify if there are any issues. An inefficient boiler could cost you a substantial amount in additional heating costs, so booking a boiler service with Buxton Heating may well save you money in the long run and ensure that your boiler provides a reliable service for years to come. In addition to servicing boilers, Buxton Heating also provide a full boiler repair service. Our engineers have worked with a number of different boilers and are therefore highly trained when it comes to repairing boilers that have faults. If you are in need of a boiler repair specialist then please do not hesitate to contact our team on the number below.